It’s that time! Back to school is chock-full of items to consider and an opportunity to seek out resources that can help students in their classes this year. As an educator and former private tutor, I know firsthand the fears that students generally carry with them into school. In a tutoring session, my first few questions usually included, “What do you fear most about school?” and “If you procrastinate, what causes you to procrastinate?” What they didn’t know is that those answers were the places I would begin really digging into during their sessions with me. Once we identify our fears, rapid growth happens when we face the fears and work through them. We are then empowered and more joyful, one less thing weighing our shoulders. In my network are many educators, and they are surely planting crystals in the corners of their classrooms, on their desks, and windowsills. 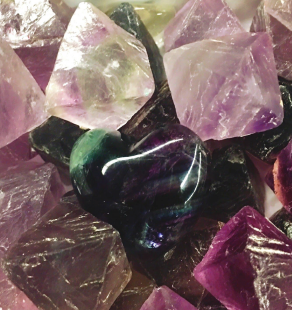 These catalysts are teaching their students about the benefits of these crystal gifts from our Supreme Mother, Gaia, and how they can be used to enhance learning, protection, confidence, team building and family dynamics. Carnelian is a must have. There are just days… well… when you know you’re gonna need an extra uplift. 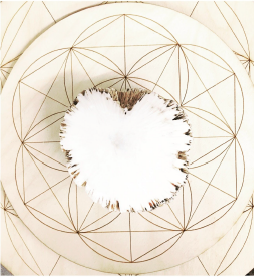 Supporting the Svadhisthana (Sacral Chakra) and opening the Anahata (Heart Chakra), you will notice a touch of something extra the days you travel with this crystal! The jovial colors in carnelian make it a favorite, as well as its role in the chalcedony and agate family. As students beginning a new year, there can be an understandable host of challenges and mood affecting changes. With carnelian in your energetic tool box, you might discover the ability to rise above tension, you might have more energy, and you just might laugh it off when faced with an emotional situation. 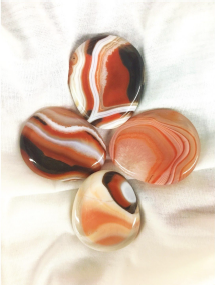 This cheerful, banded crystal can boost confidence and inspire creative thinking, playful patterns and overall joy. My son loves fluorite, and when school is in session, he intuitively asks to carry it with him almost every morning. On the weekends, it rests on the windowsill and he kind of doesn’t think about it. I find that telling that this crystal really does own its place in the classroom. Fluorite is really awesome for younger children because it helps them align and coordinate their mental and physical bodies. Like Tiger’s Eye, fluorite is a powerful focus boosting crystal that helps combine all the details, so that one is able to see the big picture. Therefore, it helps eliminate feelings of overwhelm. There were a few years of my college life that I would not walk into a classroom on a review day, or to take a test, without my Tiger’s Eye ring. 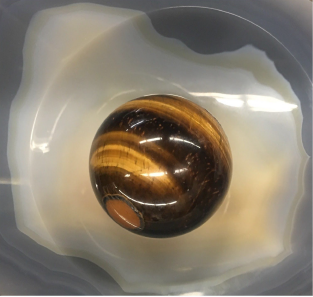 During my years as a private tutor, I encouraged all my students to pick up Tiger’s Eye in some form to always have with them, whether jewelry palm stone, or sphere- any size and formation that could fit in their pocket or book bag. This is a wonderful piece to hold in class. It boosts focus tremendously and it empowers the Manipura (Solar Plexus Chakra), which is the esteem and will power chakra. Tiger’s Eye relieves anxiety and promotes creativity. Even its name evokes a sense of courage, precision and concentration! Especially eye catching is its chatoyant quality, which gives the stone a certain mystery. Scolecite is known as a higher chakra crystal for its rank as one of the 13 highest vibration crystals on the planet. It’s a versatile crystal, as it can be found polished, or in its natural spiky and prismatic formation, and sometimes even reveals a shell or anemone. There is a milky quality about scolecite that makes it a clear and soothing gazing crystal. It’s also very high in calcium! Scolecite is also a great palm stone and calming aid. It helps one communicate and balance nervousness and stage fright. Students can benefit from this crystal in so many ways, and it would be a great companion the day of an in class presentation, or to boost one who is a shy group worker. Its energy helps hold space for those who might otherwise shy away from group dynamics.Thoughts are also enhanced and made more cohesive with this aura clearing gem. It is well known for its ability to align the Sahasrara (Crown Chakra) and Anahata (Heart Chakra). Student or not, who doesn’t perform better after a deep sleep? Students any age, from preschool to college can suffer from mind chatter which results in tossing and turning hours into the night. One night of holding an Amazonite stone in your palm and chances are you will notice the mind chatter begins to fade. Over a period of time, this crystal allows you to put to rest the worries of the day: group dynamics, test anxieties, homework overload, and a host of student concerns. I have witnessed several young children with speech and pathology challenges, develop quickly after using amazonite under their pillow, or holding onto it on their way to sleep. This is a soft, calming crystal that an also be carried in the pocket. It is a Vishuddha (Throat Chakra) crystal and can open communication and calm the tongue when one is worked up, and needs to find a balance with their anger or frustration. Much like larimar, in conversation, it helps bring emotional thoughts together and funnels them into more graceful and practical communication. Secondly, for insomnia, amethyst is a universal go to and many people sleep with amethyst cathedrals or lamps beside their beds. The purple vibration of amethyst is an Ajna (Third Eye Chakra) and Sahasrara (Crown Chakra) enhancer. 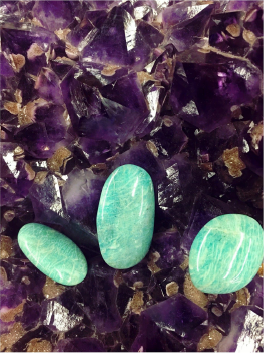 Both, amazonite and amethyst are visual stunners and favorites in the crystal community. Cheers to the first semester of classes, whether you’re in grad school, or a parent and your child is entering preschool (think about child friendly sizes and locations and ask a crystal consultant if you need further ideas). Patience is key, and an amazonite stone, or an agate just might be the crystal you need to keep you calm, grounded and patient, as parents!